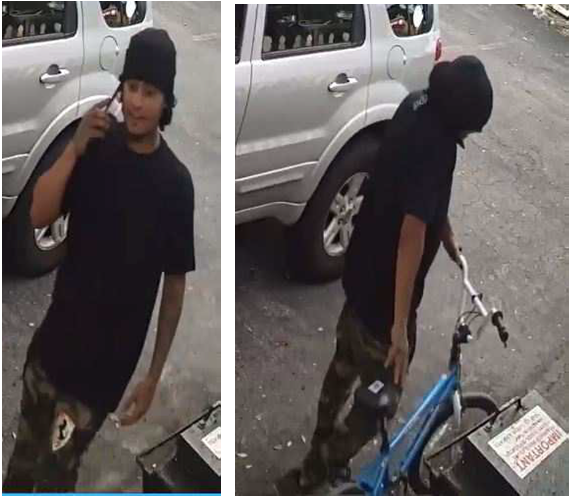 The Palm Beach County Sheriff’s Office is seeking the public’s assistance identifying a suspect wanted for aggravated battery with a deadly weapon. An unknown male is wanted for an unprovoked stabbing to a victim at a restaurant in the City of Lake Worth. The victim was transported to a local hospital where he underwent surgery for severe injuries. The suspect fled the scene riding a light blue bicycle. This incident occurred March 17, 2019, at 8:00 pm. The restaurant is located in the 700 block of N. Dixie Highway, City of Lake Worth.